Welcome to Author Wednesday. Today, I welcome a dear friend. Marisella Veiga and I met in 2005 at a luncheon for networking women. There was only one spot left in the large room when I arrived. I sat down to a beautiful, dark-haired woman with a welcoming smile. I knew we’d be great friends. But what sealed our friendship that day was when she told me she’d just joined a group of women called Vintage Surfers, and she invited me to join as well. I’m proud to introduce my friend Marisella Veiga who is an accomplished author, journalist, and professor. She recently published a cookbook, Cuban Rice Classics, and today she stops by to tell us how she decided to publish this fun and informative cookbook. Let me start with my vision of myself as writer: I decided to be a writer while running across the side lawn of our family’s house in Roseville, Minnesota. Something brought me to a halt. I paused and understood I wanted to be a writer. I was nine or ten years old. I was on my way to the little wooden fort three girls and I had hammered together beside a large tree. When I graduated from Macalester College, also in Minnesota, I made a conscious decision to become the sort of writer who could write in any genre. This was a Latin American model, where writers worked on newspapers, had radio shows, worked as ambassadors. Meanwhile, they also produced fine literature. I knew finding work would be difficult and this model seemed to make sense. At the time, most of the literary writers I had studied or met worked as academics in order to obtain the time to write. I did go on to graduate school for an MFA for the credentials and training in both writing and teaching. The safety net of being able to teach at a college was helpful. It still is. As far as subject matter, over the years the topics that have caught my attention are connected to the Hispanic experience in the United States and those same Hispanics in their country of origin. Of course, Cuba and the Cuban exile experience are key. So in that sense, I would say the subject did choose me. But I am also tuned into Puerto Rico, the Dominican Republic; I am interested in Haiti. I have traveled to many Caribbean islands for various reasons. Now, I am keen on finding cultural links between Florida and Cuba. The process of cultural assimilation among people also interests me. For example, last summer my sister, niece and I rented a skiff to spend the day on Salt Run on the way to the St. Johns River in northeastern Florida. With the help of two very Southern, Central Florida men who were relaxing in the water near their boats, we got the skiff onto the bank. We sat in the waist deep water and talked with them while we cooled off. Eventually, one man asked if we were Greek. “He’s trying to find out where you’re from,” said another. We were glad for the positive response to what some of our immigrant culture had brought their way. Not everyone is welcoming. My latest project has been to publish, as a joint venture with Rubber Tree Press in San Juan, Puerto Rico, a little cookbook called Cuban Rice Classics. I never planned on writing a cookbook, as cooking was not something I enjoyed. My mother was expected to study in order to become a professional woman and so she did: she was a pharmacist and optometrist. She could make simple meals. I was raised to be a good student; my grandmother and great-aunt did most of the cooking. They eventually taught me a few basics of Cuban cuisine. But my friend the folklorist Tina Bucuvalas is the Godmother of this fertile project. She needed a Latin American home cook for the community cooking classes in Tarpon Springs, Florida, and she asked if I would do one. I was reluctant but agreed to it. The first class sold out! When I learned this, I laughed and laughed at the irony of it. Sold out! If only I had tapped into this earlier! I had a great time teaching that class and bringing in pieces of Cuban history as well as family history. And since the students liked to cook, they were helpful in the kitchen. What could be better? Storytelling with food. It’s a great way to increase understanding about a culture. The students at Tarpon Springs have been delightful. After this class I was invited to submit an encyclopedia entry on Cuban food in the United States for a book called Ethnic American Food Today that is forthcoming from Alta Mira Press. The research for that project—food histories—was a help as I could assemble a framework for what later emerged as Cuban traditional meals. What a great way to teach history! If you go through and make the recipes in it, you will master a few basics in Cuban cooking. These include the basic saute called a sofrito, and of course, how to make rice. The book doesn’t go into more complex dishes like paella because I’ve never made one. I don’t want to make one. Furthermore, I’ve included some cultural notes so readers will get a sense of how many different peoples contributed to the fusion of tastes that have formed Cuban cuisine. I do plan to publish another cookbook. I have one in mind. For many people, the smaller book is attractive. It takes time to page through a larger cookbook in order to find a recipe that both appeals to you and matches your skill level in the kitchen. A cookbook can bring so much pleasure—good food along with good stories. They are natural partners and, if readers allow me, I will continue to tell stories in this way. 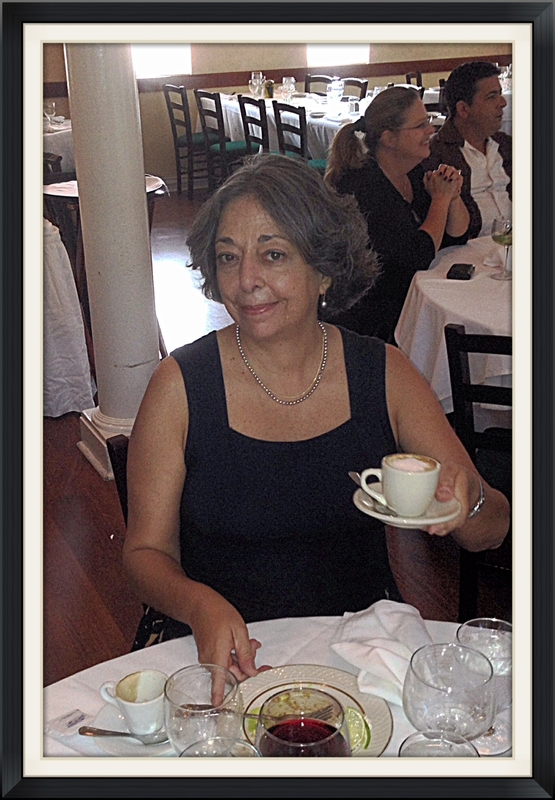 About Marisella Veiga: Writer and home cook Marisella Veiga was born in Havana, Cuba. She was raised both in St. Paul, Minnesota, and Miami, Florida. Her writings have appeared in numerous magazines and newspapers, including the Washington Post, Poets & Writers and Art in America. In 2004, she was given the Evelyn La Pierre Award in Journalism by Empowered Women International. She is a nationally syndicated columnist with Hispanic Link News Service. Many of these are recorded on a spoken word CD, Square Watermelons: Ten Essays on Living with Two Cultures. Many of her short stories, one of which won The Pushcart Prize Special Mention in Fiction, are in literary anthologies. Veiga’s essays also appear in Hispanic Outlook in Higher Education and Our Town magazines. Besides teaching part-time at Flagler College in St. Augustine, Florida, she has been giving Cuban cooking demonstrations at the City of Tarpon Spring’s Gulf Coast Folklife Center. To purchase Cuban Rice Classics, click on the cover below. To contact Marisella Veiga, fill out contact form on this page. This entry was posted in Author Wednesday, Ramblings of a Writer and tagged cookbook, Cuba, Cuban rice, ethnic food, Haiti, Puerto Rico, recipes. Bookmark the permalink. I’m a writer and a body boarder too – I think we’re kindred spirits. .
I’ve always sensed that, Darlene! Hi! Getting out in the water certainly clears my head. Where do you live? Glad you stopped by, Marisella! I miss swimming in the ocean–we’ll have to do it the next time I’m in Florida. Maybe even scream a little bit! Much needed therapy! Primal scream underwater is particularly effective. I appreciate your comments about our friendship and your enthusiasm about the little book. You’re welcome, Marisella. Here’s to primal screams and boogie boards. I love your opening to this piece, PC!